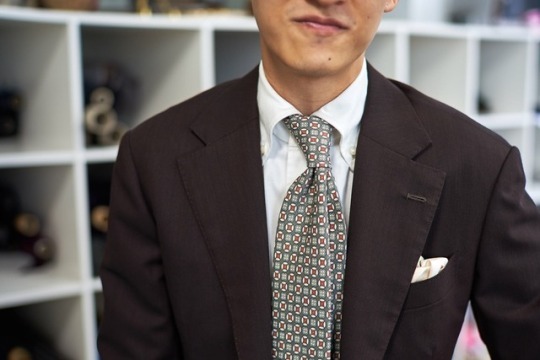 All our neckties are custom made by our own hands, in our workshop, expressly for you. 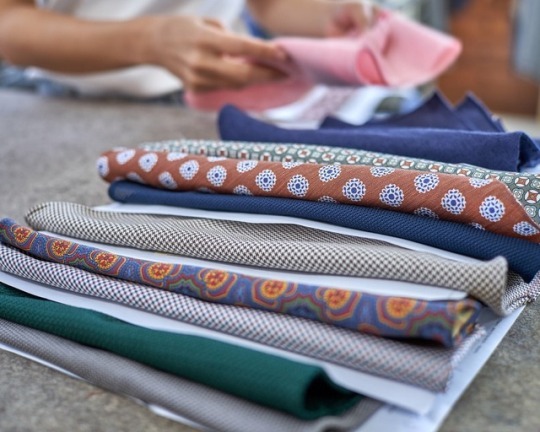 Pick from 15 different lengths and width combinations, or talk to us if you need something special. No matter your size, we’ve got you covered. Working hard to get your preorders done before we put these up on the webstore. From the workbench: all sorts of patterns and textures lined up for a busy week ahead! 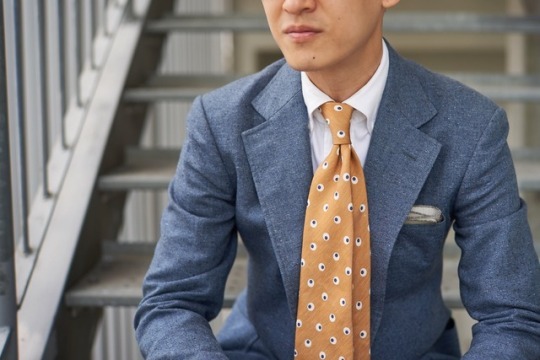 Worn: Sage-Rust Neat printed silk/linen necktie in our lightly lined, six-fold construction. Neckties and pocket squares traditionally handmade in our own workshop in Singapore and delivered directly to discerning clients worldwide.